Imagine your cell phone as a person. How would you describe him / her? Playful; Charismatic; Dull; Unreliable; Clean? The products we surround ourselves with all carry messages, and our perceptions are significantly shaped by their form, materials, and color. A Designer sprang into the frog New York studio the other morning with a little more energy than usual. I know why everyone says the iPod looks clean! so, if a designer claimed that he had the answer—we were all ears. because it references bathroom materials! wide range of products from power tools to wash basins. re talking about human perception, and the system of conventions that shape our perceptions. Perception is essential to the process of design. 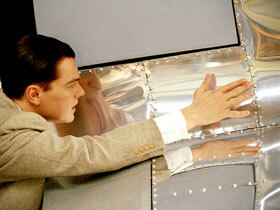 by two things that had nothing to do with cooking a meal—the automobile and the airplane. Although the symbolism has changed, the iPod also uses conventions to appear ahead of its time. Its surfaces are seamless and have no moving parts— two conventions that have often been used in science and science-fiction to connote advanced technology. 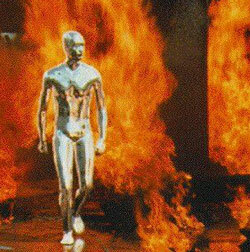 Remember the seamless, molten-metal bad guy in Terminator 2? 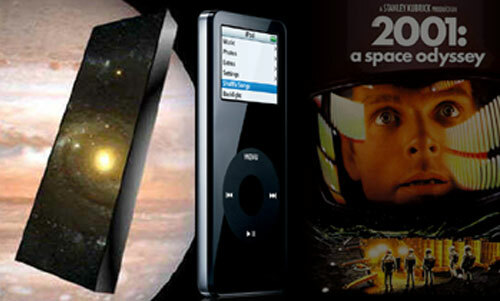 Or how about the perfectly seamless, black monolith in 2001: A Space Odyssey? Observations of the marketplace will reveal many conventions relating to perceived value. For example, Puma shoes are tiered according to price and the application of materials is different through the tiers. As the shoes move up through the tiers, the materials become more authentic (e.g. natural leather). As the shoes move down through the tiers, synthetic materials dominate. that we have a hard time recognizing them. But being sensitive towards conventions will give you a new appreciation of why you love or hate the products in your life. That said, try not to think of a toilet every time you use your iPod nano.